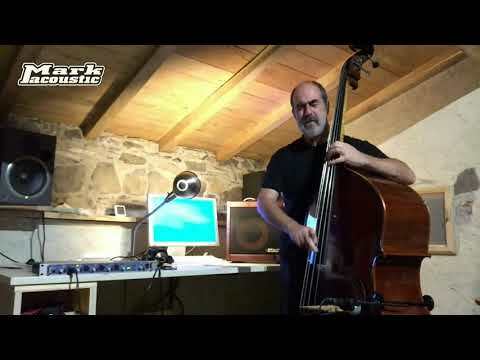 Marco Micheli graduated in double bass at Lucca Conservatory. 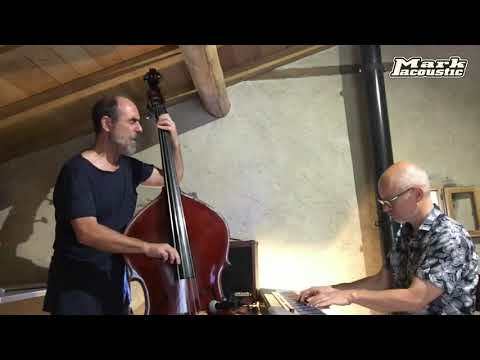 He started in 1981 collaborating with Italian and international artists on different band projects and music genres (jazz, easy listening, classical music). He played with ensembles from the duo to a big band both live and in the studio. He has a particularly intense jazz activity with some occasional collaborations and many stable ones. In 1982 he’s been part of Ginger Baker band on a European tour. After that he collaborated with several international artists such as Lee Konitz, Kenny Wheeler, Chet Baker, Mitchel Forman, Tony Scott, Phil Woods, Bill Elgar, Marilyn Mazur, Miroslav Vitous, Norma Winstone, Serge Lazarevitch, Dicl De Graaf, George Garzone, Daniel Humair, David Liebman, Jimmy Owens, Franco Ambrosetti, Charles Tolliver, John Taylor, John Surman, Cedar Walton, Harold Danko, Lew Tabackin, Pete Churchill, Jason Rebello, Bjorn Solli and many others. Between the Italian artist and bands he worked with AREA with Patrizio Fariselli and Giulio Capiozzo, joined later by Paolo Tofani and Walter Paoli, then Furio di Castri (bass duo), Gil Cuppini, Enrico Rava, Gianluigi Trovesi, Flavio Boltro, Francesco Cafiso Francesco Sotgiu, Enrico Pieranunzi, Pietro Tonolo, Emanuele Cisi, Paolo Birro, Alfred Kramer, Enzo Zirilli, Andrea Dulbecco, Mauro Beggio, Tino Tracanna, Massimo Colombo, Naco, Franco D'Andrea, Luigi Bonafede, Roberto Cecchetto, Mauro Negri, Paolo Fresu, Maurizio Giammarco, Manhu Roche, Gianni Cazzola, Roberto Gatto, Claudio Fasoli, Gianni Coscia, Sandro Gibellini, Christian Meyer, Mario Rusca, Riccardo Zegna, Alberto “Bebo” Ferra, Humberto Amesquita, Antonio Zambrini, Dado Moroni, Nicola Angelucci, Barbara Casini, Rita Marcotulli, Andrea Pozza, Max Ionata and many others. He performs live in Italy and internationally as well during prestigious jazz festivals in theaters, auditoriums, musical events and clubs. He recorded more than a hundred records with many of the mentioned musicians and also with the RAI orchestra with artist like Luciano Pavarotti, Sergio Caputo and Tiziano Ferro. He also took part of a few movie soundtracks recordings like “Denti” (driected by G. Salvatores, Music by F. De Robertis), “A Cavallo Della Tigre” (directed by C.Mazzacurati, music by Ivano Fossati, arrangements by P. Silvestri), “Una Notte Che Piove” (directed by G. Bullo, music by M.Micheli, E. Cisi, L. Bonafide, P.Pellegatti, A.Radius). In the meantime he also produces music for TV use (TV Movies, Documentaries, etc.) and different music productions. 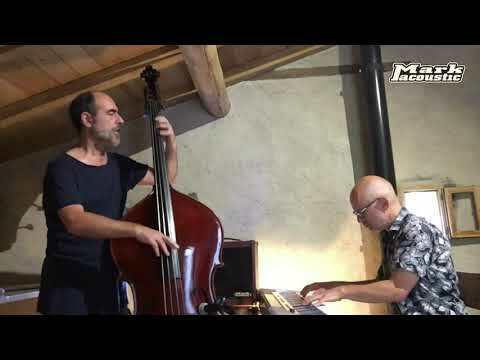 In 2017 he got the professorship for Jazz Double Bass and Electric Bass at the G. Verdi conservatory in Milan. "The Markacoustic AC 101H is a simple and effective amp, its sound is deep and absolutely natural. "—says Marco—"The two inputs are perfect to manage different situations, I think about a double bass and an electric bass (Channel 1 and 2), or just a double bass with two separate lines, pick up on Ch 1 and mic into the balanced input. Last but not least, the AC101 is light and portable."